Today, version 2.87 of Ringtones showed up in my Installer in Recent Packages. 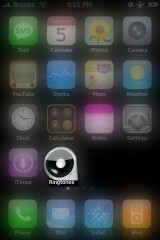 However, version 2.87 of Ringtones has already been released (a month ago!). I did notice that when I installed the “update” it changed the application icon. There are no other visual changes to the application so, I’m not really sure what the deal is…maybe just an icon update. 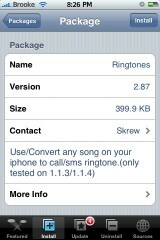 You can get Ringtones via the Skrew source.